I think of myself as a video ethnomethodologist1 – a social scientist who utilises disruptive techniques (social experiments) in conjunction with technical videography to explore, document and represent how people subjectively make sense of and navigate their everyday worlds in relation to brands, products and services. My films and their usefulness depend entirely on the scientific process that I employ to facilitate objectification of the lived experience data collected, otherwise referred to as the evidence. My films become art the moment they become about my own subjective experience; the moment I depart from being an objective social scientist. At EPIC2017 in Montreal, I had the pleasure of presenting my 10-minute documentary Andrew’s Story, an emotional portrait of a man who had recently experienced a permanent disability but was refusing to claim on his disability insurance. My client wanted to understand why people like Andrew are not making claims when they are entitled to. The point of the ethnographic research, therefore, was to deep dive into the lived experience of what it is really like to make a disability claim, as well as to identify barriers along the claim cycle that prevent customers from following through with a claim following some kind of disablement. This research needed to include video documentation because the client wanted the video evidence to be distributed internally as real customer testimonials. Importantly, the brief was that the video evidence needed to show, as well as tell, the lived experiences of customers. Sixteen 10-minute video case studies were shown in a series of internal company ideation workshops to inspire new thinking for how they design insurance products and services for the future. The videos and their content were presented as research facts – not storytelling fiction – so that the team could ideate from a foundation of relative objectivity. During and after the EPIC2017 panel Q&A session where I screened Andrew’s Story, conference attendees asked me questions about techniques and challenges in ethnographic filmmaking. I hope these answers provide useful insight to anyone making or aspiring to make ethnographic film, as well as contribute to ongoing sharing and debate about the practice. 1. How did I recruit such as an excellent film subject to “perform” as Andrew did? The participant was recruited purely based on the fact he had experienced a recent disability and refused to claim on his insurance, therefore fitting our recruitment sample specifications. There was no vetting or casting process to see if he was articulate enough to perform as we expected him to. I never ‘cast’ people as such. I believe casting is damaging to the credibility of ethnography as a scientific methodology. A methodical ethnographer with a tried and tested process will illuminate the required evidence and be able to form a coherent insight whether or not the participant is a good or bad communicator. 2. How do I manage to establish such a close rapport and trust with the respondent in such a short amount of time? Many in the audience were surprised when I revealed that the filming of the video only took two sessions, each approximately 45 minutes in duration. In addition, I conducted a 10-minute telephone interview prior to the filming and an additional filming session of 10 minutes at the request of the participant. I do not groom participants in advance in any way. An ethnomethodological approach ensures that the participant does not need to perform or articulate anything beyond the simple tasks that he/she is asked to recreate (show and tell) and already knows, as it is intrinsic to his/her lived experience. Simply, I do not ask people to make anything up. I simply ask them to show and tell me things in their social world of which they are already expert. Further, I present the session as a series of social experiments or interventions. What I mean by this is that I work collaboratively with the participant to do whatever we need to do in the short amount of time we have, in order to explore and understand their deeper relationship to things. A social experiment can be as simple as asking someone to show me how they do something, or introducing a task or object into their space in order to observe their reaction and how they make sense of it. In Andrew’s case, I asked him to try to do tasks that previously he took for granted as a fully able adult, or that he now needed help with. This revealed how his disability had impacted him and brought to the surface how he felt about being disabled and what it meant for his life, his identity and his relationships. I do not ask participants to answer questions that they are not already expert on. This is the area where too many researchers fall down – they ask participants research questions, not social world questions within the context of peoples’ lived experiences. 3. Do I use a shot list developed prior to the filming? I do not compose shot lists. As a video ethnographer it is, of course, important to document on video all of the contextual evidence to build a compelling and persuasive case, otherwise I simply don’t have sufficient trace evidence to say that I understand the lived experience of the participant and their context. My focus, therefore, is on documenting contextual evidence, not on compiling shots for a film. How they feel about certain situations, scenarios, dynamics and relationships in the context of their social world, reflexively probed during or after they have shown them. I think in terms of coverage because coverage is my data, but I don’t think in terms of making a film or constructing a documentary story until after I have fully documented and analysed my data as a social scientist. If I focus on documenting the full context using an ethnomethodological approach invariably I end up with an array of ‘shots’ that can later be edited into a narrative of evidence (a documentary) that represents the insights from the data accurately and evocatively. The story follows the evidence, not the other way around (which is what a shot list implies). 4. Do I use a discussion guide? I do not employ a discussion guide because I believe (as with a shot list) that a list of specific questions actually prevents you from doing your job properly as an ethnographer. The point of doing ethnography is to immerse yourself as a researcher in someone else’s lived experience and then derive inquiry from that immersion using observational techniques, systematically and objectively. I focus on answering a singular research objective or commercial question as fully as I possibly can. For Andrew’s Story, the big question is – why does Andrew refuse to claim on his disability insurance when he became disabled and what evidence is there for that? This question, however, is not for Andrew to answer, but for me as the researcher to answer using contextual inquiry and social experimentation. Hence, I always bring with me into the field an array of general qualitative inquiry and observational techniques that allow me to explore and probe behaviours and experiences in their context, if and when I need to. 5. Do I film by myself or with assistance? And what sort of camera do I use and why? I film and interview entirely by myself and prefer it that way. It might surprise you that I do a lot of my filming simply using my iPhone. Most of the time my clients cannot tell the difference between film produced with my iPhone and with broadcast-quality production equipment. Filming need not be onerous, but understanding the principles of good technical filming is important for recording a high quality trace – in other words, good evidence. For example, good audio is always essential, so if you are not using a radio microphone on the key participant then you need to make sure you are within an optimal audio recording range. Understanding the principles of light enables you to record from the right angles so that no shot is hidden in darkness. When it comes to representing the evidence, understanding the principles of good video editing (what to show and what not to show) enables you to focus the audience in on the key insights from the evidence. Good evidence and the insight that results requires competent technical filmmaking skills. Some in our profession exalt this as being a good storyteller, like the ethnographer is some kind of real world bard or poet, but I am more inclined to see it as competency of process. My technical competency is definitely enhanced by completing numerous filmmaking, video producing and documentary courses, but not by the sophistication of the camera that I am using. 6. How did I avoid reactivity with the presence of the camera? Avoiding reactivity is impossible, so by taking an ethnomethodological approach we create authentic reactivity. By conducting social experiments we direct reactivity in a certain direction to develop a much deeper understanding of a relationship, ritual or norm and it’s inherent meaning and/or purpose, much more quickly than, for instance, non-participant observation techniques. For example, by asking someone to not clean their teeth for a day (a social experiment), we learn the importance of cleaning teeth through a process of ritual deprivation. After a whole of day without cleaning, we learn that the individual changes their whole behaviour throughout the entire day. We learn that mouth hygiene is an important ritual for feeling confident about speaking, touching, kissing and simply being relaxed in the presence of others. Without cleaning our teeth the individual tends to avoid others, close themselves off, not speak, not touch, not kiss and feel anxious in the presence of others. If we see reactivity as our friend and not our enemy, the ethnomethodologist can use reactivity in a directed way to uncover deeper meanings and significances. 7. Do I worry that my film participants are performing for the camera, as opposed to being authentic and real? I do not worry whether my participants are performing or not. I have learned through more than 20 years of ethnography research never to ask someone to pretend that the camera is not there. The moment that you ask someone to pretend anything is the moment that you cease being a researcher who is collecting scientific data and evidence. It is the moment that your participant ceases being a credible research subject and simply becomes a bad actor in a bad film. Instead, I bring attention to the camera; I allude to its reality; I explain that we aren’t going to try to be real at all; I am simply here to collaborate with them to recreate what they already know through a show and tell process. I am not asking them to do things that they are unfamiliar with or have to use their imaginations for in order to enact. Indeed, I am only ever asking them to perform a social performance with which they are all too familiar. By establishing an equal playing field as research collaborators where the participant does not feel that they need to be anything or anyone (apart from themselves) for the purpose of the research, we can then go about the scientific ethnomethodological process of exploring their lived experience via a series of social experiments. In summary, video ethnography is not an easy thing to do well. It is as much a competency as it is a method or approach. I have over 20 years experience in the two separate disciplines of ethnographic research and documentary filmmaking. I have studied filmmaking as a post-graduate; conducted in the vicinity of 3000 filmed immersions as a commercial researcher; and singlehandedly produced a feature-length documentary film. All of this gives me an edge, but it does not give me the answer and it does not ensure compelling evidence. However, a social scientific process in the form of an ethnomethodological approach – can and does. Employing an ethnomethodological approach keeps the video ethnographer from falling into the trap of thinking ethnography is purely about filmmaking and storytelling using real world subjects and scenery. In reality, great ethnography and ethnographic storytelling emerges from compelling evidence and insight that is fundamentally scientific in the way it is procured. It is the science of what we do and not the art of what we produce that makes our films powerful and illuminating because audiences know instinctively if we have followed an objective process by the nature of the content. Ultimately, our job as ethnographers is to objectify subjective data for insight in the most rigorous way we can, in the most efficient way we can, and, in the most useful way we can. 1 A preferred definition from www.sociologydictionary.org/ethnomethodology: (noun) The study of how people make sense of and navigate their everyday world through orderly norms and rituals. Example: Ethnomethodologists have studied behaviour change by breaking a norm such as facing the back of an elevator and observing how other passengers react. Nick Agafonoff is Director of Lived Experience at The Practice Insights and Director of Real Ethnography. He is an accomplished qualitative market and social researcher, experienced ethnographer, professional videographer and documentary filmmaker with over 20 years experience. Nick consults on brand, marketing, communication, design and innovation strategy increasingly in the digital, mobile and interactive realms. He is interested in assisting organisations to deepen their engagement with target markets, groups and communities leading to empathy, understanding and better outcomes. 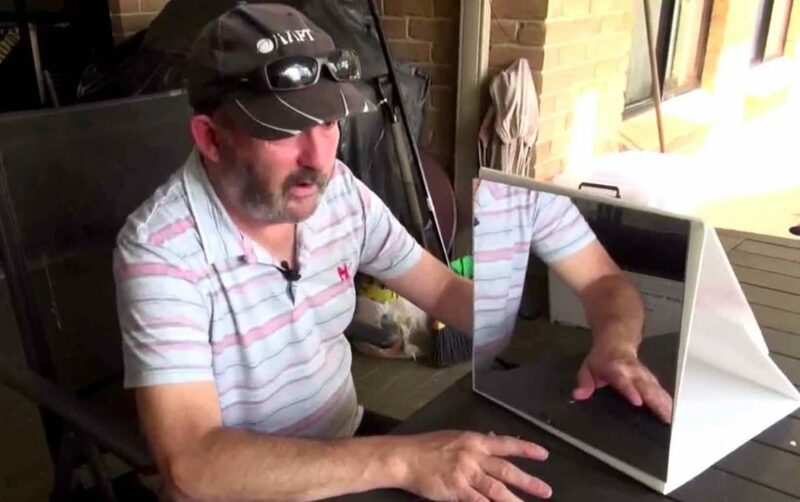 Nick holds an Honours degree in Sociology from the Australian National University and a Masters in Media Arts and Production from the University of Technology, Sydney. He also completed two years of Doctoral studies in Marketing at the University of Sydney. 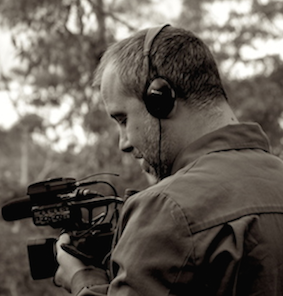 In 2005 Nick researched, produced, directed and edited “Bougainville Sky”, a feature length documentary film in distribution with Ronin Films, which was shortlisted for a national film award.